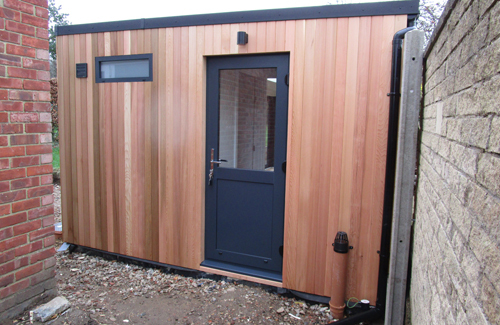 This is our most popular range of buildings, offering a high spec, highly insulated room for your studio or office with the benefit of an integral storage shed. 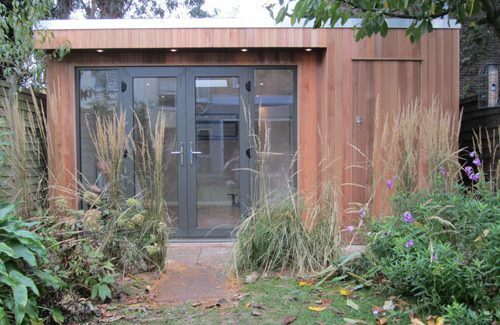 As with all we do, we offer a great deal of flexibility on design, size and construction, so your building can be exactly as you need it, to fit you and your garden perfectly. 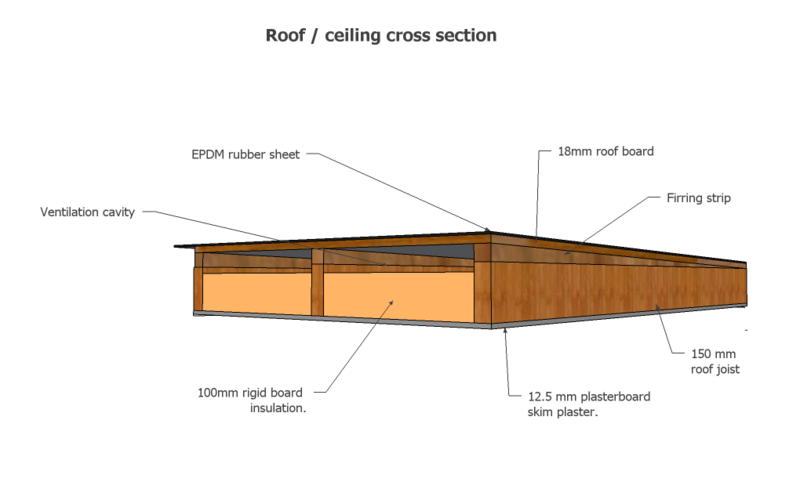 In most cases the main room will be as standard, with highly insulated walls, roof and floor, and fully decorated. 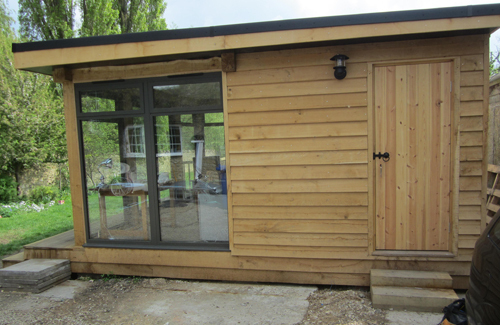 The shed can be constructed to suit your needs. 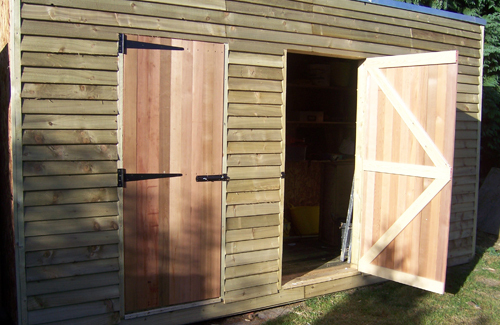 Most sheds tend to be for mowers, bikes and garden tools, in which case we keep it functional with electric light and socket, but nothing too grand. 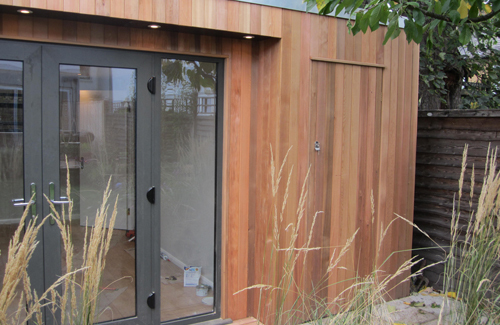 The interior can be customised to suit with shelves and cupboards, or left for you to install them after we have gone. You will be amazed at how much storage space you will have. 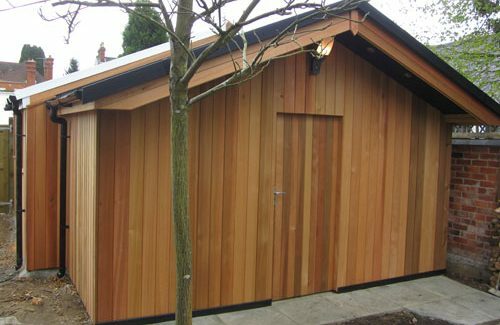 Typically sheds will be 1.5m wide, as deep as the building, and 2.4m high so with shelves from top to bottom you really can stack a lot away! We not only install shelves, but hooks and rails for hanging and suspending, so before long your brooms, spades and forks will be arranged in tidy military style! 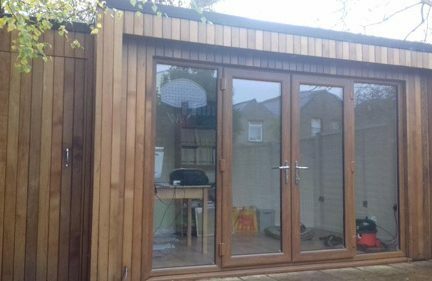 Some customers use the store for documents or ‘overspill’ from indoors which need a well-ventilated, dry, insulated room with a thermostatically controlled heater, again something we can provide with ease. 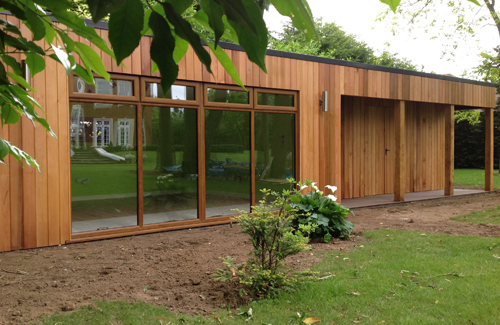 Our roofs are built from timber the same as if you were building a flat roofed house extension. Many of our competitors use a composite roof panel which is a low cost system giving cheaper buildings but not the durability, longevity or interior finish of a wooden roof. 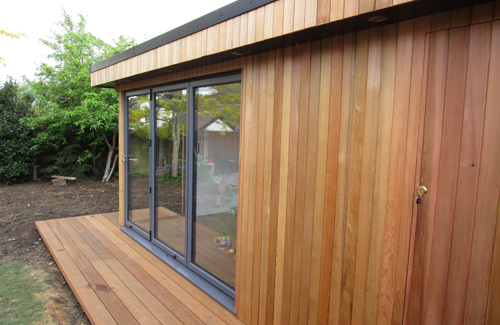 We incorporate at least 100mm insulation and a ventilation gap to prevent the build-up of condensation and further improves insulation. The roof slopes on angled wooden ‘furring strips’ to a gutter at one end, and the whole structure is covered by an EPDM synthetic rubber sheet which has a manufacturer’s warranty of 20 years. Because we use angled furring strips, the ceiling inside is level from front to back. Composite roof panels give a ceiling that slopes at the same pitch as the roof giving reducing head room as you move to the back of the building. Our ceilings are dry lined and skim plastered and allow the use of recessed downlights.